Jim received his Bachelor‘s in Business Administration from the University of Kansas. Upon graduation , Jim joined his father, Lou Lienemann, in the commercial insurance industry to start the firm Golden Age Insurance. Golden Age was founded in Kansas City 27 years ago to serve the states of Kansas and Missouri in the growth market of the long- term care insurance industry. He earned his ARM in 2000 and CPCU designation in 2001. Jim and his wife, Christine, have been married since 2004 and have a twin son and daughter, Alexander and Caitlyn. 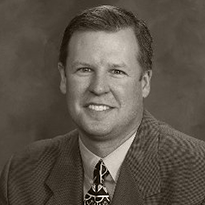 Jim is an avid golfer, scuba diver and barbecue competitor. Most of all, he enjoys any outdoor activities with his family!